Available L046 zebra Hypancistrus pleco. 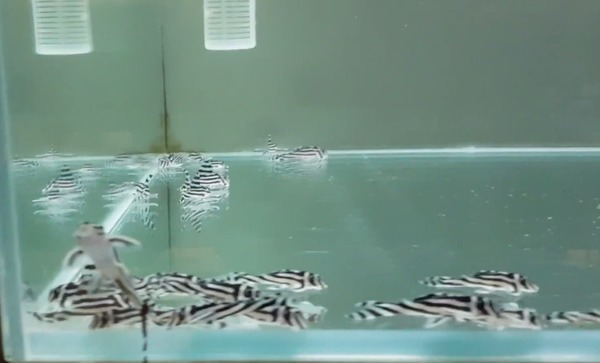 We are particularly happy to be able to offer beautiful offspring of L46 (Hypancistrus zebra). This species is unmistakable among the armor catfish with its black and white drawing and has attracted many aquarists thanks to its beauty. Luckily - because in nature these fish are seriously threatened by a dam project (the third largest hydropower plant in the world) or are doomed to extinction. The species inhabits fast-flowing areas of the Rio Xingu and these are dammed up to a lake. The L46 should be maintained in soft water and 26-30 ° C. For the offspring caves are needed in a special form or you can also build (stack) caves from slates.